Going one step better than last year, Laura Siegemund beat Kristina Mladenovic, 6-1 2-6 7-6(5) to win the Stuttgart title in a dramatic finish. While the first two sets were meh, the third was fantastic on all levels. 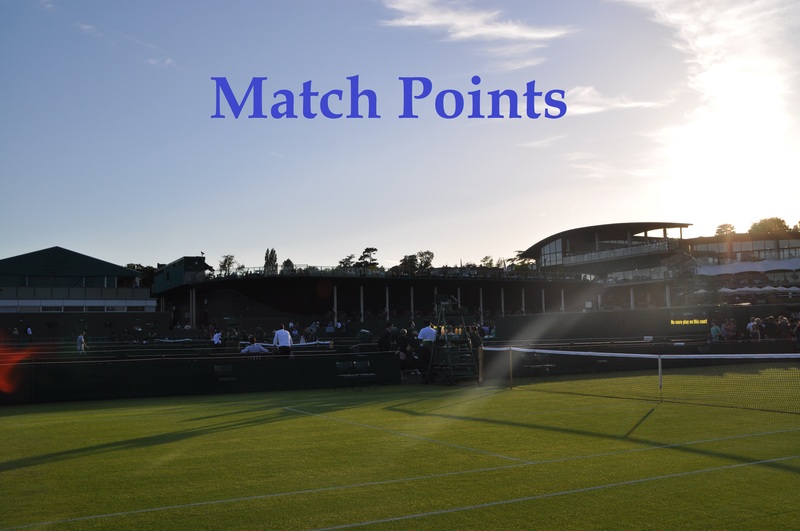 Siegemund received a point penalty when serving for the match at *5-4 *15-30 for slow play having received a warning earlier on – a brave call by the umpire, Mariana Alves! Siegemund lost her way mentally and the crowd became increasingly vocal as Mladenovic rallied to lead 6-5. Thankfully, Siegemund settled down (with some help from errant returns by Mladenovic too) to force a third set tiebreak, which was what this match deserved. Mladenovic scored the early mini break, dictating the points more often than not. However, Siegemund’s gritty defence kept her in touch and she forced the first match point, producing a fabulous get to a drop shot to win the whole caboodle. Siegemund’s record at the Porsche Tennis Grand Prix through the past two years has been quite extraordinary – she has won 12 matches, 10 in straight sets, and scored six top ten wins over Karolina Pliskova, Agnieszka Radwanska, Simona Halep (x2), Svetlana Kuznetsova and Roberta Vinci. From a set and a break down at 3-6 0-2 in her semi-final match against Maria Sharapova, Kristina Mladenovic rallied to win, 3-6 7-5 6-4 and reach one of the biggest finals of her career. I didn’t get to watch much tennis during this year’s Stuttgart tournament but all my favourite matches involved Laura Siegemund. I’ve already given a shout-out to the final – another match I enjoyed was Siegemund’s three set, three hour and nine minute victory over Karolina Pliskova in the quarter-finals. I loved the contrast in styles and the rallies at the end of the second set were super entertaining. A Mladenovic special… having saved three break points in a pivotal game at 5-5 in the second set, Mladenovic came up with this clutch drop shot to hold to 6-5. The Frenchwoman would go onto break Sharapova’s serve in the next game to bag the second set. And another cracker from Mladenovic in the final… her talent is immense. Loved this from Elena Vesnina and Daria Kasatkina after their first ever encounter on the WTA tour in the first round. Sharapova’s press conference after her first match was almost more intriguing than the actual match! Congratulations to backhandpass who won the Draw Challenge for Stuttgart. To join in the fun, you can enter Tennis Draw Challenge and join the Moo’s Tennis Blog league. April 30, 2017 in Match Points, Stuttgart, WTA. Yep, fully deserved for Siegemund, so much fun to watch when she’s playing well. And yikes, forgot about Mladenovic’s record in finals. A very good week though overall. I’ve had my reservations about Laura in the past because I think she’s been guilty of gamesmanship, but today I think she deserved her victory, close though the match was (lovely Porsche too – I wonder if she gets any help with the running costs though because that car isn’t going to be cheap to run or insure). P.S. I had Angie to win this, so another crystal ball has to go back to the pound shop next week 🙂 I suppose I got it right about the winner being a home town player though. Oh and Svitolina was awesome in her matches today… that match point winner was absolutely sublime! Svitolina picks up her 7th trophy in her young career, but Mertens had a heavy wrap on her left thigh and calf. I find it unusual that Kerber has won two Grand Slams, but only 8 other tournaments in her long career. I can’t see Siegemund playing in Rabat this week after her emotional win in Stuttgart. Rest should be the order of the day for The Sieg. Well Kerber was a really late bloomer. She didn’t win a title until five years ago when she was 24. And then her record in finals was pretty dire…at the start of 2015 she was 3 from 12. I know that some on her disagree, but I think Elina is completely capable of winning French Open. She has the game, she has the confidence. She has the highest winning % on the tour this year, that isn’t a fluke. For me it is a fluke. I hate to see players in this ranking region playing so many Internationals. Istanbul was her 3rd International this year already (Top 10 are only allowed to play 3 in a complete year…) – you can call it clever, but also easy scheduling. I almost hope that she will end Top 10 in 2017 only to see her stop vulturing these points. Or WTA dies something against it. She does have 3 top ten wins this year though. Not counting the two International events she competed in (she withdrew from the third you listed early on), she still made the third round of a Slam, third round at a Premier Mandatory, Semi Final at a Premier and won a Premier 5 level event. Only Konta and Pliskova have had more impressive results at bigger events. Don’t need to see her all time record against Top 10 or Top 20 (but you can watch on tennisabstract) to know she is not a real threat to top players when they are peaking (and top players peak at the right time). To conclude: She is a solid Top 20 player. Svitolina has EIGHT career wins over top 5 players. To put that into perspective, Konta has two, Keys has three, Pliskova has five, Muguruza has six, Halep has seven. Must be a fluke though yeah. So you agree on my other points? No, I don’t agree. Konta, Pliskova, Serena, Venus, Wozniacki, Kerber, Aga… all the top players this year have played in at least one International level event where they were among the top favourites to win. None of them won theirs, but why should Svitolina be ridiculed for winning the two she entered?! We’ll just have to agree to disagree and see who is right over the coming months. I agree Andrew except for Jo Konta, who won both Sydney and Miami; aren’t both of those internationals? I don’t need to say how strong Stuttgart is(?) and that complete world class plays there. Well this is my last response to you, since I feel you’re being completely unreasonable. You have no facts or stats, just opinion and negativity. 1. Svitolina chose her schedule at the start of the year. She’d likely have been paid more to enter events like Taipei and Istanbul than a Premier event because International events offer juicy appearance fees for the higher ranked players. 2. Konta lost to Siniakova & Aga lost to Riske in Shenzen, Pliskova lost to Giorgi in Prague, Serena lost to Brengle, Venus to Osaka & Wozniacki lost to Goerges in Auckland. Your theory only holds up if they were beaten by another top player, they weren’t, they were beaten by women outside the top 40. You can’t argue that she can’t or doesn’t beat top players, I’m sorry, it’s not true based on fact… she wins more top ten encounters than she loses. Moo—Administrative note (only if it is easy for you) — In order to activate the “like button” one has to jump through all sorts of hoops, loops and water hazards. I think it would encourage more participation in your blog if one could just punch the “like button” instead of going through the registration process (on both your reporting and the comments). Thanks, Ziggy. I’ll have a look, not sure if there’s much I can do but if there is a way, will make it easier!